The solid metal housing of the headset prevents vibrations and fraying. Remote and microphone might lag with models of brands other than HTC. 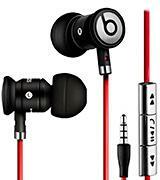 These are high-quality tangle-free earphones that provide nice sound and ease of use. The model is resistant to sweat and water. Remote is only compatible with iOS. 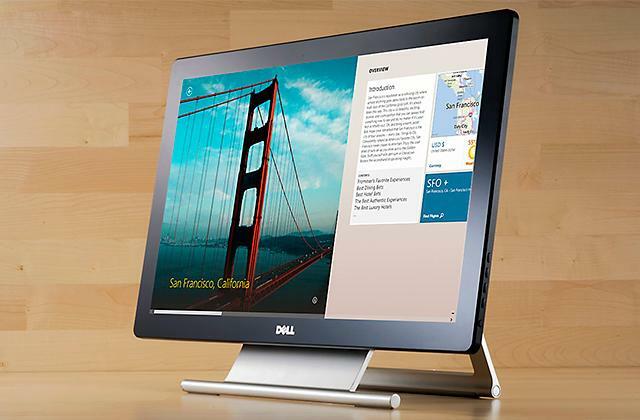 The model features the comfortable design which fits most people. The set comes with ear cups of different sizes, which allows you to choose the best fit. The glossy parts are easily scratchable. The earphones offer excellent bass and good noise cancellation. Wearing them will prevent the environment sounds from bothering you. 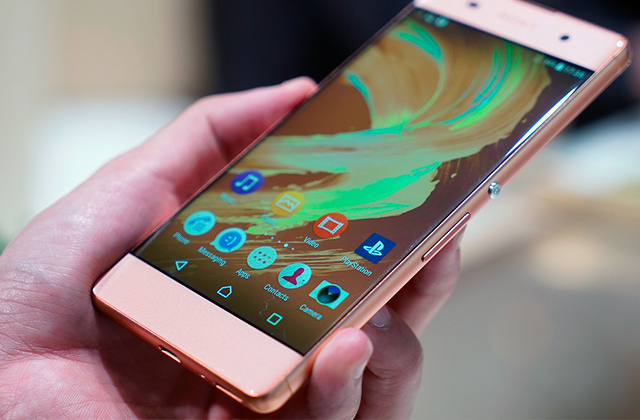 You can adjust the volume without getting you mobile device out of the pocket. In a big city, with all that hustle and bustle, these headphones are very convenient. The cord is not very firm and strong thus requires a careful use. 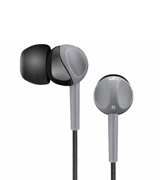 This earphones model offers a comfortable wear and balanced sound. The high sensitivity of these earphones makes them very easy to drive and energy-efficient. The mids and highs are not reproduced clearly enough. The compact design and deep bass of the earphones will surely be to the taste of those who appreciate minimalistic style and modern music. Now, it's difficult to imagine any young person without earphones. 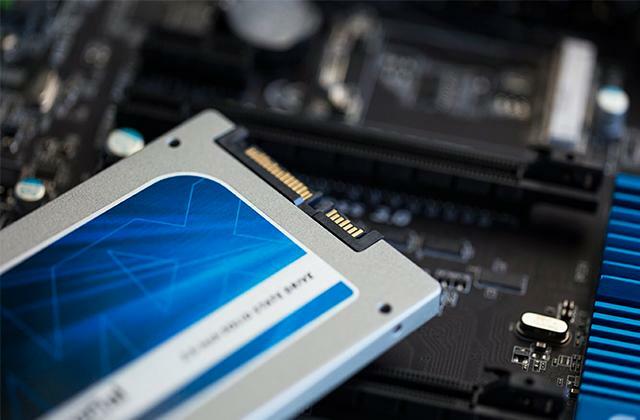 Due to simplicity of these devices, they’ve become an important attribute of our daily life Every manufacturer is trying to make their product unique, providing excellent sound performance. The same could be said about Beats by Dr.Dre. Perhaps everyone who're passionate about music has heard of this brand at least once in their life. These in-ear headphones are probably the best option for everyday use. Thanks to the tips that perfectly fit in the ear canal, you get a really dramatic sound experience. If you are keen on jogging in the mornings, this headset will make this activity joyful and exciting. Just switch on the music and start running! It's also worth mentioning that this model has deep and solid bass that makes music come alive! 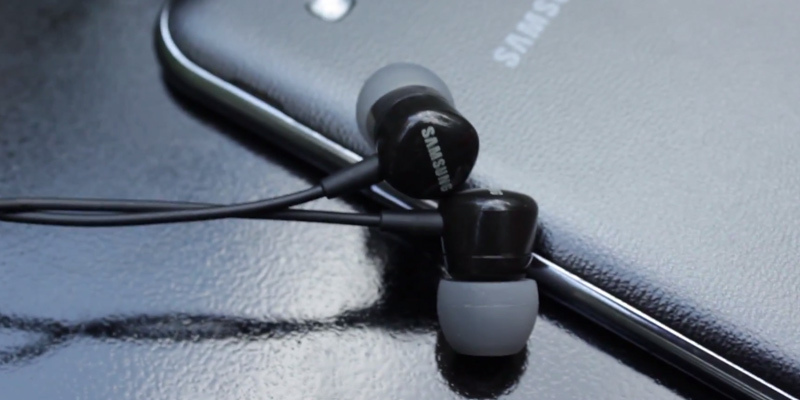 Additionally, to guarantee tight fit, these earphones come with replaceable tips, so don't worry about any discomfort. The pair is ideal for everyone! Earphones aren't considered reliable devices as they are generally made of plastic. They quickly wear out and then get out of order. 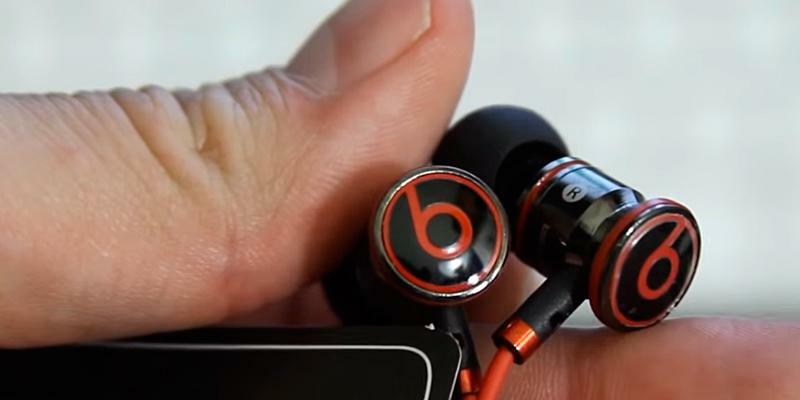 However, it's not true about Beats by Dr.Dre. These headphones are designed with the solid metal housing which makes them reliable and unique. Do you need a case to store your headset? With Beats by Dr.Dre, this desire will be satisfied as well. The manufacturer has kindly provided the branded high-quality storage pouch made of high-quality synthetic leather for storing the headset along with additional tips. To sum it up, these earphones are a perfect combination of remarkable sound and outstanding execution quality. Now, you have an excellent opportunity to choose the best headphones! Many people consider Apple the best manufacturer of computer software and consumer electronics in the world. Interestingly enough, at the same time, this company is a global leader in producing earphones that come with cell phones and music players. For over 12 years Apple has sold more than 600 million pairs of headphones and this fact evidently proclaims the quality of their products and people's trust. The first thing to be remarked while looking at Apple MD827LL/A EarPods is that they blend in perfectly with other Apple products. Another significant benefit is that the earbuds were designed taking into account geometry of the human ear canal. Although their design is pretty unusual, wearing them is very comfortable. You'd probably agree that surrounding noises can prevent us from enjoying the music. 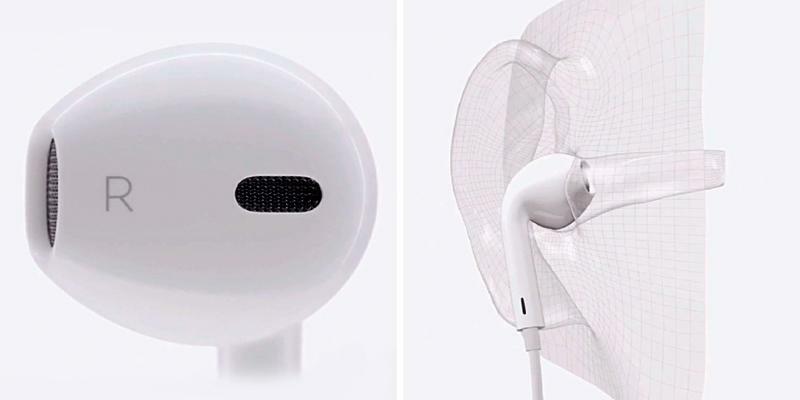 The new design of this model drastically impacted sound quality of the earbuds. Additional holes provide deep bass and make sound clearer. Tight seal of the tips minimizes sound losses and ensures excellent sound insulation. If you need to answer a call or switch to the next track, be sure it will be easy with a remote control! However, note that it's only compatible with Apple products! The headphones were designed in white color, so the manufacturer suggests carrying them in a special plastic case which ensures reliable protection and helps maintain initial appearance. 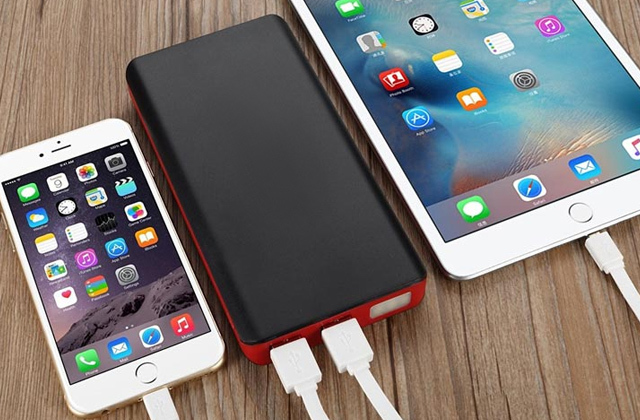 If you're looking for a solution for charging several mobile devices simultaneously, take advantage of USB hubs. 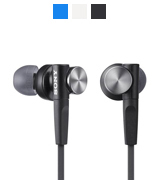 The high-quality sound is a distinguishable feature of these Sony earphones. Due to their excellent specifications, the Sony MDR-XB50AP will impress you with its sound. A wide range of frequencies reproduced (from 4 to 24000 Hz) enables you to enjoy deep bass, clean mids, and clear highs. The Sony MDR-XB50AP offers an excellent sound cancellation, so no external noise will distract you from listening to your favourite songs. This model has a flat cord, which is rather durable and prevents tangling. The Sony MDR-XB50AP earphones have a built-in microphone and can be used as a wired headset with your mobile phone. Owing to call answer/reject and pause buttons available, the headset allows you to quickly pause the song that you are listening to answer a call without taking off the earphones. 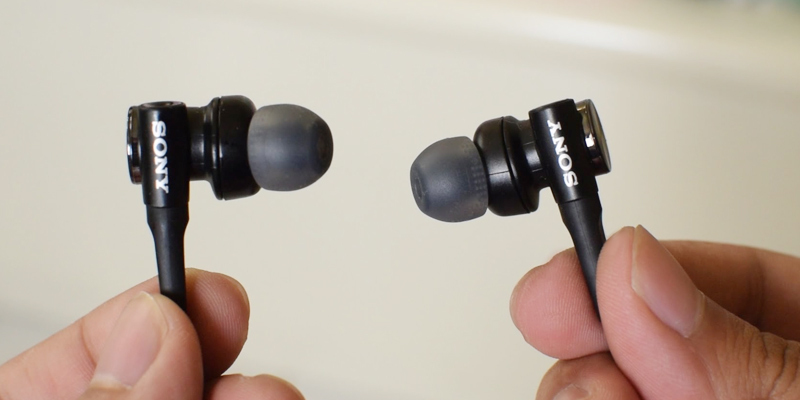 At a first glance, this model by Sony may seem rather big for earphones. 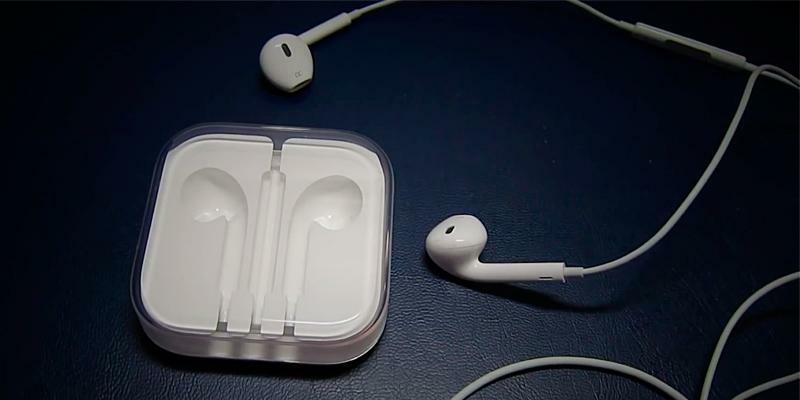 However, the earphones will have a tight fit and will not drop out, which is a great plus. In addition, there are 3 pairs of bundled replaceable ear tips of different sizes, so you can choose the best suit. The Samsung HS130 earphones are a very nice present for your loved one, as well as a useful accessory to use for yourself. 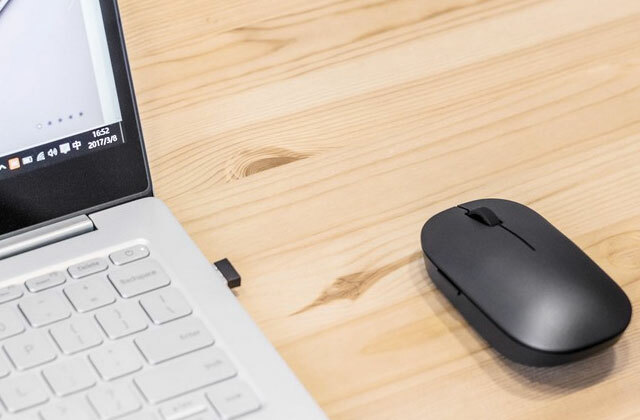 Even the most demanding user will appreciate their ergonomic shape, light weight, and enjoyable sound. 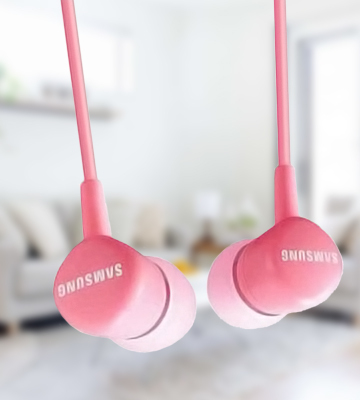 Despite the fact that this earphones model was created primarily for the use with Samsung Galaxy phones, you can pair them with other devices, including mp3 players, phones, tablets, and other digital devices. 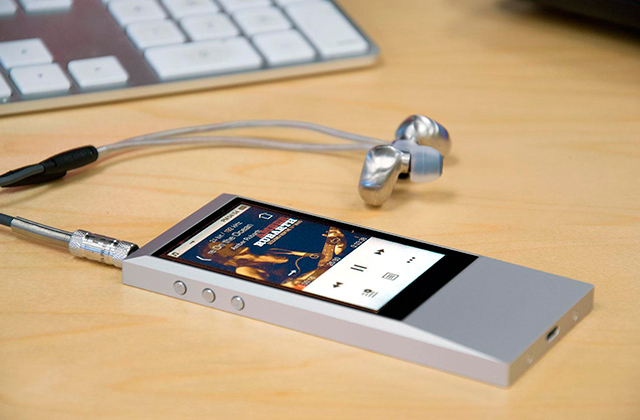 The convenient control menu of the HS130 allows you not only to answer calls and pause the tracks you listen to but to adjust the music volume without taking the mobile device out of your pocket. 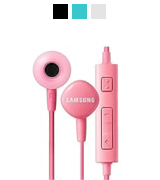 The pink colour option of these Samsung earphones will surely be favoured by girls. However, as Samsung manufactures these Samsung earphones in other colour variants everyone will find an option to fit their style. 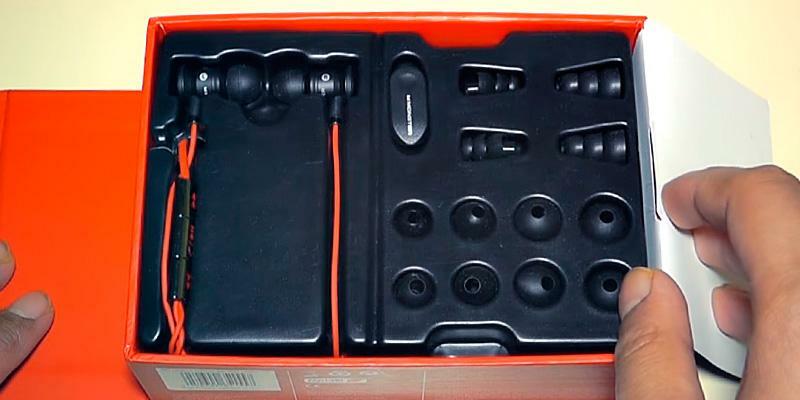 The earphone supply package includes three pairs of replaceable ear tips, which makes it easy to get a good fit. 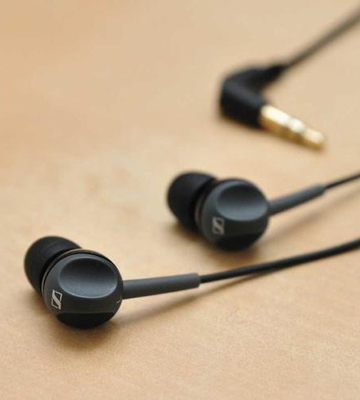 The legendary Sennheiser German brand created a completely music-focused earphones, which will please you with the quality of music reproduction. 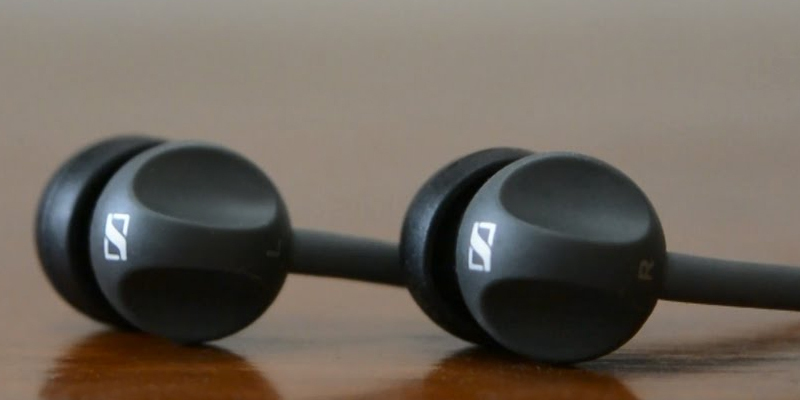 The Sennheiser CX 180 model does not feature a microphone. Indeed, the main purpose of these headphones is to produce an incredible and crisp sound so that to make you feel delighted when listening to your favourite tracks. However, the Sennheiser CX 180 earphones implement a modern active noise cancellation system to ensure that nothing distracts you from enjoying the music. This German-made set of earphones is a product of really thorough engineering. Their high sensitivity of 110 dB/mW not makes them play louder from any portable sources but also reduces the battery power consumption of your device when you listen to your music on the CX 180 at a comfortable volume level. The wide frequency range and high level of acoustic detail retrieval of the earphones allow hearing lows, mids, and highs equally well. 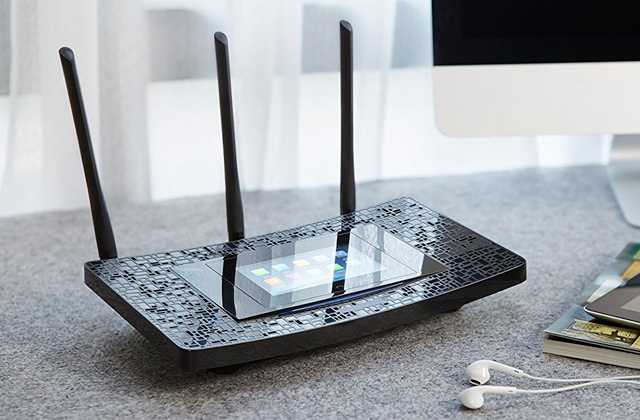 The jack shape of this model also evidences for a comprehensive approach to the design. Unlike many headphones of the same type, this model uses an L-shaped jack, which significantly reduces the pressure on the port and prevents it from breaking. 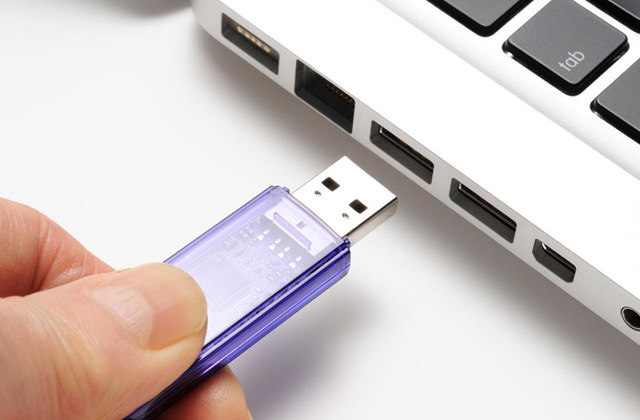 This is especially important for devices with a 3.5mm headphone output located on their side or bottom. It is good to know that the manufacturer provides a 2-year warranty for the model being absolutely sure of its high quality. It's no secret that for many of us, headphones mean a lot. A high-quality pair of earbuds can take us into the atmosphere of a loud and clear sound, literally changing the world around us. Everyone knows how exciting it can be to listen to music while moving in a car or public transport. Many people can't imagine their jogging and workouts at the gym without these accessories as well. 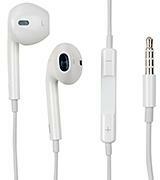 Earphones are small audio output devices designed to allow listening to music personally. 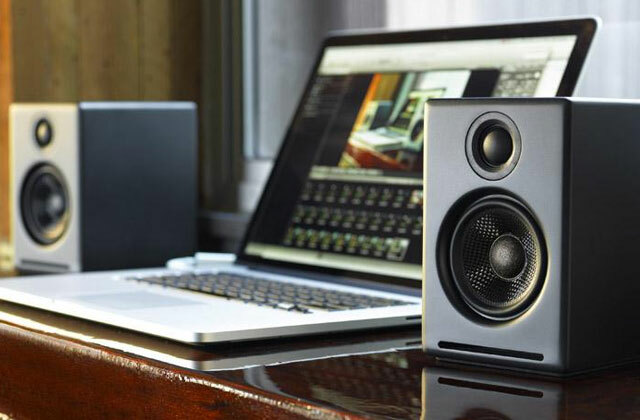 Here, the audio signal from different sources is transferred via cables and special connectors to mini speakers built in a metal or plastic housing. Headphones can be worn over ears as well as put inside ear bowls. Now, a pair of earbuds is an essential accessory of any gadget that gives the excellent opportunity to enjoy music wherever you are. To get the maximum enjoyment from favourite movies and clips, we'd also like to draw your attention to DVD players. You can also get interested in our review on the best car subwoofers. The first important feature to consider when choosing headphones is the Sound Performance they have. 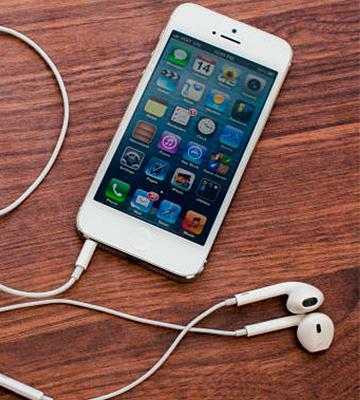 In fact, many different technologies are implemented in modern earphones to reproduce a clear and powerful sound. As the result, even tiny in-ear earphones nowadays are capable of delivering a high-quality sound. It is possible for such models to have a wide frequency response as well as the nice sound clarity that make your music come alive. Some earbuds also can boast additional drivers producing a deep and solid bass. 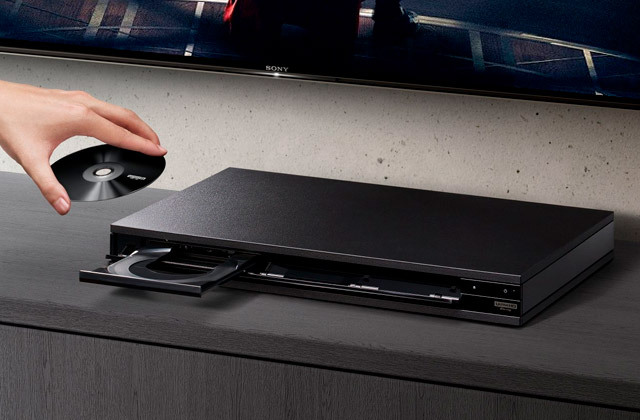 Other models stand out for the support of A2DP and AptX protocols enabling a high-quality wireless transmission of music via Bluetooth with no cables required. That is an essential point for those fond of jogging and sports in general. Secondly, pay attention to the Design of headphones as this is the key feature which defines whether you're going to feel comfortable wearing them. Fortunately, there is a huge variety of styles and you can easily choose any you like. Let's consider two major types of portable earphones. In-ear headphones. Earphones of this type are put inside an ear canal where silicone tips provide a tight seal. In-ear headphones also ensure the best isolation from outside noise giving you clear and crisp sound. 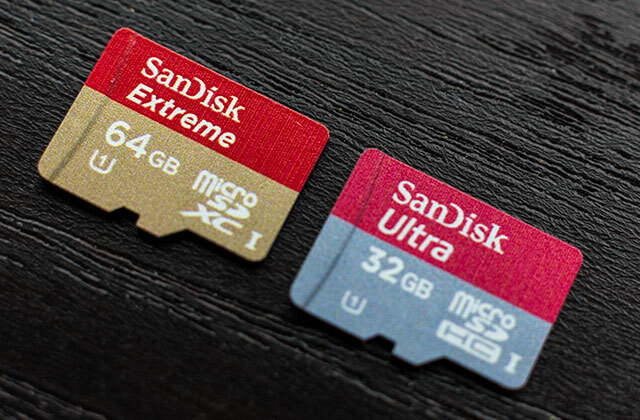 Such models are generally the best in terms of price and size. Earbuds. This is another type of portable earphones that are placed in ear bowls. 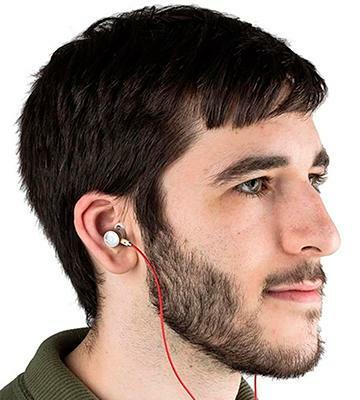 Earbuds also excel in portability, however, the protection from background noise is poorer. Finally, don't neglect Additional Features since often they matter very much. Here, it's necessary to note tangle-free and special braided cables. They don't actually need to be neatly folded and can be hastily put in a backpack until you need them again. Therefore, there is no longer need to untangle long wires wasting your precious time! As you may know, some models also feature a remote and microphone that allow answering phone calls and talking just on the go! To provide comfortable use, many models of earphones come in special cases or are equipped with convenient storage pouches. 2. Headphones, Wikipedia. September 6, 2016. 3. Headphones and Earphones Buying Guide, The HUB. November 4, 2013. 5. Steve Guttenberg How to Pick the Right Headphones -- for You, CNET. July 26, 2014. 6. Ali Pardiwala Tech 101: Things You Need to Know Before Buying Headphones, Gadgets360. August 27, 2015. 7. 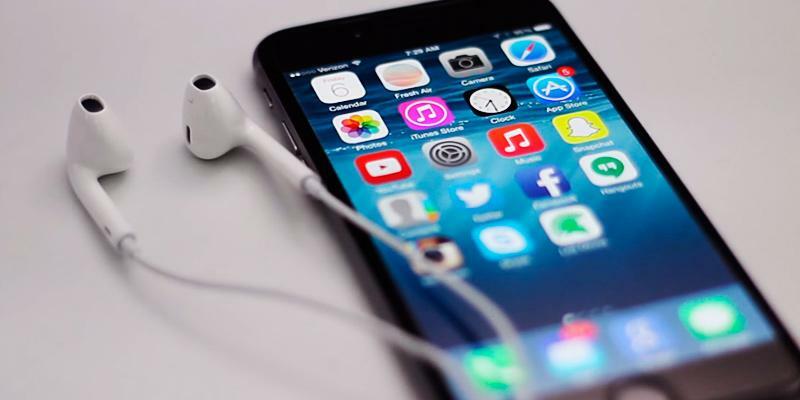 Nachiket Mhatre All You Need to Know About Buying In-ear Earphones, TECH2. June 4, 2013. 8. Simon Jary Headphones, Consumer Reports. 9. Sebastian Arreguin How do I Choose the Best Earbuds for Me? Quora. 10. Lynn Wright How to Choose the Best Headphones, SagaMAGAZINE. May 20, 2016.